This is a story of hope, "I have been to hell and back. If you're in that same place, then I understand what you are going through". JK -one of the most devastating wingers New Zealand and world rugby has ever seen, but behind closed doors John Kirwan lived a life of torment, afflicted with depression. This is his story of hope. of working through his pain and leading a full life. 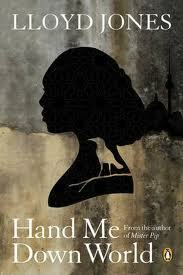 If you are battling depression, then "hang onto hope" and read this book. This is by the author who wrote the best sellers "Shiver" and "Linger". 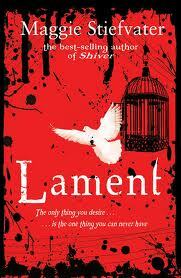 Lament is about a 16 year old girl called Dee, and she is a cloverhand- someone who can see faeries. When Dee is drawn to mysterious and beautiful Luke, Dee sense that he wants something more dangerous than a summer romance. What Dee does not know is that Luke is a faerie assassin..and that she is his next target!! Another SAS veteran who has proved himself a worthy novelist. Chris Ryan writes out of his own experience as an SAS crack soldier. This novel is set in Afghanistan, it is about the politics of war, its about blood brothers, its about world peace, its about loyalty. The Evening Standard called this book "a muscle and bone thriller that will get blood pumping". 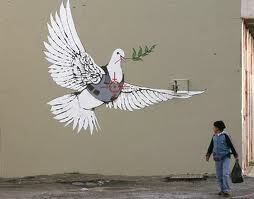 The phantom graffiti artist has complied a book of his best "works on a wall". 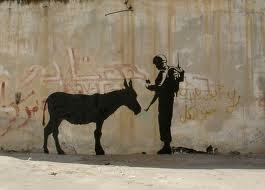 This is art, amazing art, done by "Banksy" who asserts that " A wall has always been the best place to publish your work". He is a true artist and this book highlights his greatest graffiti works... and no-one knows who Banksy really is, he has never been caught creating his master pieces on the wall. From the SAS soldier comes another storming battering ram of thrill packed, unforgettable SAS drama.... and its all true. The Sunday Times says its "The best account yet of the SAS in action" and the Times says it is "one of the most extraordinary examples of courage and survival in modern warfare". Rebel with a cause is the inspiring story of a true Kiwi hero who overcame childhood neglect and abuse to become a successful scientist and businessman, and who has saved millions of lives in the third world. 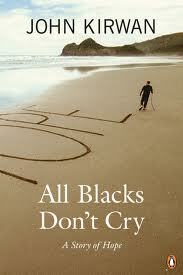 He was the new Zealander of the year in 2010. This book is fascinating, deeply moving, and at times very funny. Above all, it's an engaging read about how one man truly can change the world. "Ray Avery is a remarkable individual who overcame the odds to become an inspiration to all new Zealanders. This is a man who believed in himself and rose above his circumstances to attain excellence" John Key. 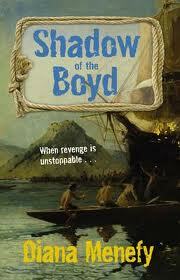 Great New Zealand fiction based on the true story of the sailing ship "Boyd". Its about a friendship between two young sailors, a Maori lad called George and a young apprentice sailor called Thomas. Its a powerful story from our colonial past, the bitter clash of two cultures. Its about massacre, revenge and its enthralling. You're waiting for the postman- he's bringing your exam results. University,a career as a journalist..a glittering future lies ahead. But the doorbell rings and it's your old girlfriend; and she is carrying a baby...your baby. She has had enough and now it's your turn. What would you do? During the Gulf War in 1991, Chris Ryan became seperated from the other members of the SAS patrol, Bravo Two Zero. Alone he beat off an Iraqi attack and set out for Syria. Over the next seven days he walked over 200 miles, his life in constant danger. Out of the eight SAS members involved in this famous mission, only Chris Ryan escaped capture, this is his story.